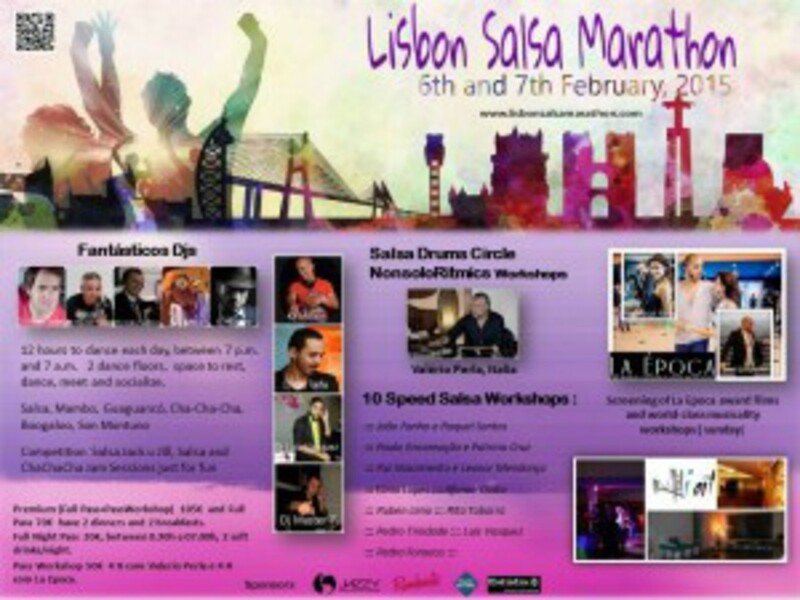 International social salsa event, two days, 12 hours to dance each day,7 pm to 7 am, plus 8 hours of world class workshops on saturday afternoon and sunday afternoon. A team of 9 fantastic Djs, two dance floor, will be playing salsa, mambo, bachata, chachacha, guanganco, son montuno. Venue: Iart, a venue with diversified ambient, on the center of Lisbon, near the river, which will permit to have two dance floors, and rooms for workshops, places to rest and relax and socialize , as the possibility to serve the two dinners and breakfast all in the same place. You will find nearby many hostels, hotels and apartments, prices starting at 20 euros.